The land that Running Aces is situated on served as a catch-your-own fish farm for decades (1965-1998), prior to changing ownership and opening in 2008 as a racetrack and casino. Just last year Running Aces brought back the nostalgic fishing tradition with “Trout Air Tavern”, a pond to plate dining experience. Partnering with the family who originally owned the fish farm, the staff at Trout Air Tavern learned to clean and cook the fish you catch — and serve it to you in their finish-line view restaurant. At first glance, the trout pond looks more like a fountain than a fishing hole — pristine and well-manicured. Don’t let appearances fool you: this place is packed with live trout, and its sophisticated bubbler system both aerates the water and keeps it at a refreshing 55-degree temperature for them. (Protip: the fish love the bubbler so this is the best place to cast your line). The pond is stocked a few times weekly from a local trout farm, and the same farm provides fish for the restaurant, so you can still order off the menu without having to catch it. Concierge fishing! The folks at Running Aces will bait your pole for you, so all you have to do is cast the line — within five or ten minutes we had a 1.5-pounder! There is no catch and release – you do have to buy what you catch at a reasonable $10/lb, plus $9 to have it cooked and served in the restaurant — or, for $3 can have it cleaned and packed to-go instead. All-in, a fresh caught dinner will run around $20, and includes soup or salad and choice of potato. Dining at Trout Air Tavern gives you finish line views of the horse race track, and staff will stop by to collect your wagers so you don’t have to disrupt your dining experience by going to place them. 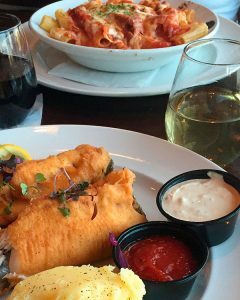 A big supporter of community businesses, the menu at Trout Air Tavern includes several local ingredients, including a number of wines from nearby Winehaven Winery. If like me, you’ve headed up 35E and seen the sign for for Running Aces many times but never stopped in — it’s about time you do. 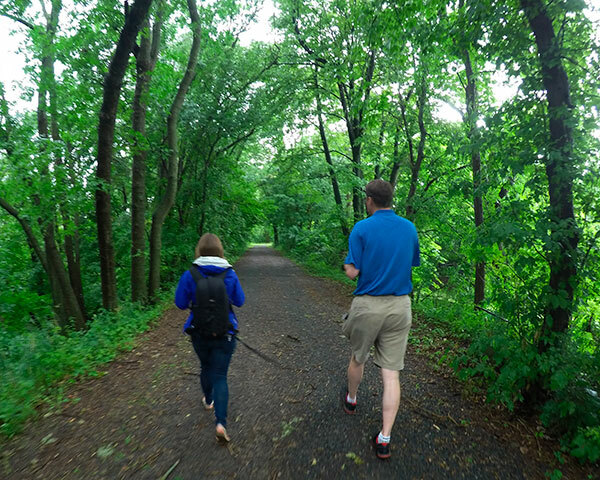 Just 25 minutes from Saint Paul, it’s surprisingly accessible. What surprised me even more? The grounds of Running Aces are fantastically curated. The building is flanked by a lush lawn, and the racetrack circles a beautiful wetland. With no admission fee (and races only 25 minutes apart, about half the wait time of other race tracks in the area), bring a blanket or lawn chairs and the kids — it’s a perfect family-friendly atmosphere and there’s almost always horses on the track to entertain. Winehaven’s vineyards are among the most scenic I have visited. The area is dotted with lakes, and rolling hills covered with vines surround them. 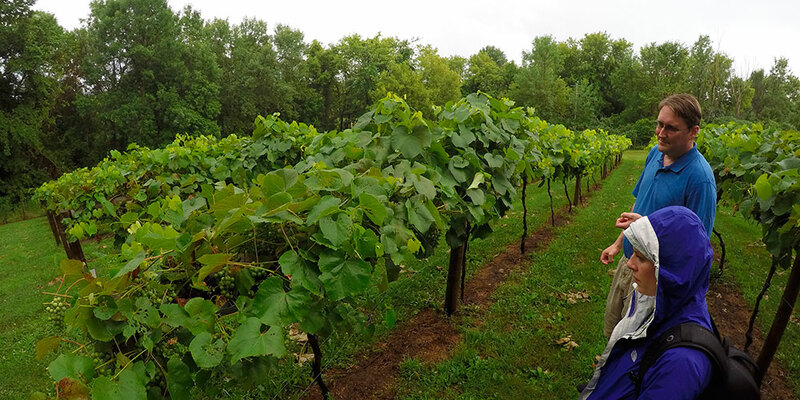 Paths that take you past the vineyards are reminiscent of times of past, following the same route as trains followed to clear the historic 1866 log jam along the St Croix River. Also notable? 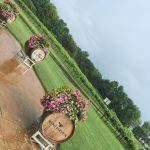 Two varieties you can only find at Winehaven: Deer Garden, which produces a sweet red wine; and Nokomis, a drier, oaky red which has taken rank among my favorite of red wines produced in Minnesota. Pristine views from the tasting room. 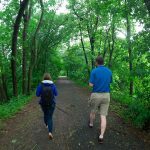 Kyle takes us on a walk through the vineyard, along a historic railroad route. 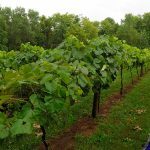 Winehaven durrently grows the only Nokomis and Deer Garden grapes available in the world! 4:00pm – Arrive at Winehaven Winery for a wine tasting and stroll through the vineyard (Winehaven closes at 5, so if you would like more time, head over a bit earlier). 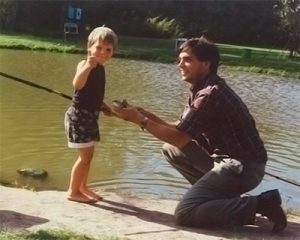 5:30 – Arrive at Running Aces and check in at Trout Air for fishing. 6:00 – Dinner and Live Racing. Running Aces Casino & Restaurant are open year-around, though you have through September 3 to catch live horse racing — check out their packed calendar of events for more. You can visit Running Aces just 25 minutes North of Saint Paul off 35E at 15201 Running Aces Blvd Columbus, MN 55025 or online at www.runaces.com. 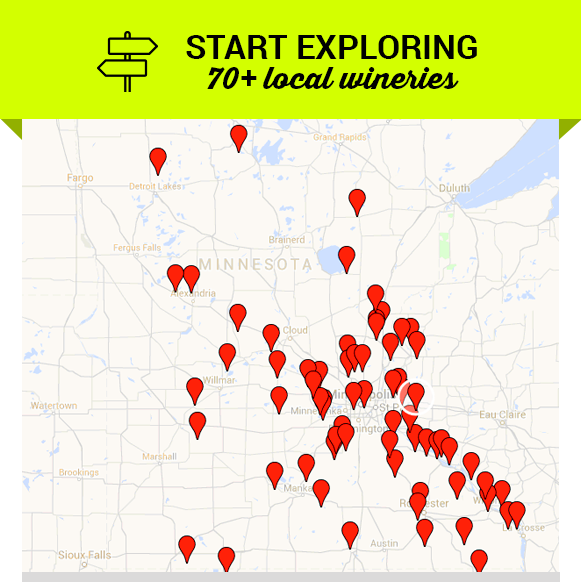 You can visit Winehaven Winery just 35 minutes North of Saint Paul off 35E at Hwy 8, at 10020 Deer Garden Lane Chisago City, MN 55013 or online at www.winehaven.com. 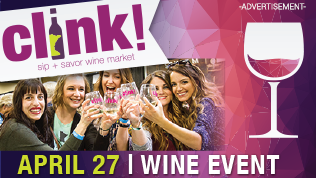 Visits to Running Aces and Winehaven were provided by the establishments. Learn More.